I recently bought a 1981 931, and it runs good, it has blower motor wiring issues (mostly of the melted kind) a clutch issue and some front seat leather dryness problems and a quicky paint job that looks ok but could be much better. I got it for 2300.00 dollars, so my question is can I get 5000 to 6000 dollars out of it in the end. Will these rare cars go up in value? They seem to be getting parted out at a pretty good rated. My 951 seems to be holding at pretty good dollar value. Will these guys catch up. I like the quickness of the car. Also the rear decal above the bumper got painted over, were there any other decals on the rear? Crystal Ball time! Who knows what happens in the next few years in this big bad World. All you can do is look at 912 and 914 values over the last 10-20 years. Virtually unloved 'not a proper Porsche' Lots got scrapped. Not many good ones left. Now the values have firmed up and worth restoring/investing in them. My view with mine is spend the money, enjoy the car, one day I'll reap the rewards. If not I had a good time. 15 years ago no one wanted a 914 here in nz, they were being cut up to make 550 replicas. In the last 2 years I have heard of 3 that have gone through some serious restoration programs. So yes I think the 931/932 will increase in value. 931 value is measured in acceleration, braking, car camping, and lateral G's. Any other standard will tell you nothing about the 931 experience. 931`s are pretty cheap cars in comparison to say... a 928 to restore.. Not sure what the values are like over there in the US but here in Australia 931`s are worth more than most early 928`s, in fact, a lot of 924`s seem to be worth more than most early 928`s! Is the 928 a better car? No idea.. 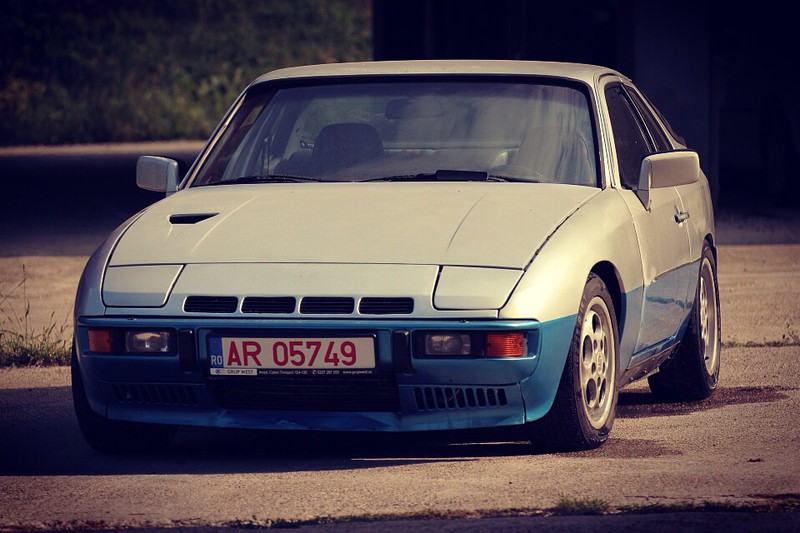 I havent actually driven a 924/931 any further than down my driveway! I know the 931 doesnt fill me full of fear and dread like the 928 does though.. when it comes to parts/maintenance.. I recently bought a 1981 931, and it runs good, it has blower motor wiring issues (mostly of the melted kind) a clutch issue and some front seat leather dryness problems and a quicky paint job that looks ok but could be much better. I got it for 2300.00 dollars, so my question is can I get 5000 to 6000 dollars out of it in the end..? The answer is almost certainly NO, if I understand correctly and your intent is to make a profit. It seems to me it is impossible to restore one of these cars to the kind of condition that commands five or six grand, without spending a lot more than five or six grand to get it there. Will these rare cars go up in value? And, of course, how much? Not as much as some are fantasizing about, would be my guess. Everyone cites 912's and 914's but those things are still pocket change in the grand scheme of things. Compare them to an equivalent 911. What I can tell you is that it is --> <--- this close to impossible to buy one in excellent condition up here. There seem to be a handful of runners around and the odd decent one. The rest I have seen or know of are a pile of parts... at best. Thanks for all the feed back, my intention was to drive the car and enjoy it, with the full understanding of the costs associated with owning a Porsche and the fun factor. In my process of fixing it up to good running condition, I have the option of tempering my spending, such as not repainting it, ignoring the dash cracks, and only fixing what is necessary, etc to keep it running, which I would do if you guys didn't think the values would come up to the same levels as some of the other Porsche cars. Talking to some PCA members this weekend, quite a few of them had no doubt that the values would rise. It's not about making money on the car, it's a question of how much do I do to it, without costing me big time when I do choose to sell it. 931 math is easy, you buy them for anywhere from $500 to $3000. During the first two years while they drive you crazy you invest $2000 to $3000 in making them whole and updating rubber interior and suspension. Then you try to sell it and will not get more than $2000 to $3000. So you think the math makes no sense, right? You now have to add $1 for every smile it brought to your face every time you took a sharp corner, for every look from other drivers, people at the store, the park , etc etc. By the time you are done you will be thousands ahead. Don't be silly, enjoy your car. I paid $1400 for my non running 931, and then sold the fuchs wheels on it for $820. So I essentially got the car for $580. Then there is the meager amount of money I spent refreshing the car to get it to running condition AND upping the boost, I think my projected amount spent is $1280 (this includes the $580 from initial purchase). I've heard the 914 story recounted more than once as hopeful evidence that the 924/931 will one day begin appreciating. I started the toofah hobby in 2004...that was 11 years ago, and I have seen ZERO appreciation in the actual selling values of these cars...if anything, they continue to drift lower. The only exception might be for the handful of really spectacular low mileage special edition cars that pop up every once and a while. But plain jane models? No appreciation in sight as far as I can see. In my opinion, the 944 is dragging us down. 944 prices have continued to plummet, and more and more are ending up in the sad shape that we see a lot of 924s. It's getting to the point now where you can buy a decent running 944 that is 5 to 10 years newer than a 924, with fewer problems than a 924, for under $5K, sometimes significantly less. I don't see 924/931 values appreciating until after the supply of cheap and plentiful 944s and 951s has been exhausted and starts to appreciate. I just renewed my policy with hagerty. They suggest raising the value from 5k to 6k on my 80 s1 turbo. They claim it is based upon recent sales blah blah. In the same notice they suggest raising my 308 ferrari from 32500 to 34k. So I call. Tell the rep I don't think so on the 931 unless maybe you guys look at European prices but I think you are way off on the 308. He puts me on hold and comes back and says yes you are right. We suggest the 308 in the 65k to 99k range. Wtf? From a 34k suggestion to that? I really lost a little confidence with them there. Speaking of haggerty I was job hunting and ended up getting a 2 hour tour of this place.. They had a few ancient Jags, race prepped bmw 2002's w/dual webber setups, 2 e36 m3's 1 being the lightweight version, an audi R8, about 30-40 cars..
Said they were worth about 1 million dollars each.. I almost had a job there, so so close, he was impressed with my mechanical instinct but I don't have any experience welding body panels for restorations and that's what he needed.. It was crazy, I showed up on a bicycle with a folder full of resumes desperate to find a job to survive, hitting every place in Traverse City I could find dor to door, I had no idea what was in there, I was a bit overwhelmed..
Was thinking about posting a new thread about the rising values on 924s, then I saw this post so I thought I'd add my 2 cents here. I appears to me that the 924 (especially turbos) have started coming up as part of the Porsche price boom (or bubble... take your pick). Certainly in Australia for years a honest 924 turbo could be had for $8-$15k. I suggest that these days these same cars are probably selling at around the $25k mark. Certainly not the same price % increase as the 911s however I'm of the view that the Boxster is now officially cheapest Porsche. I'm less familiar with other markets however note a few 924 turbos for sale in the UK for similar comparable prices. Pcelenta - Hagerty will insure your car for any value you want them to. My 931 is insured for $30K. The annual premium is still TONS less than it was through my normal AmFam policy. The point is, you can insure it for what you would want in the event of a total loss.